As rates of the disease skyrocket globally, be sure you know the answer to the question, "How do you get diabetes?" Obesity is a major risk factor for diabetes. 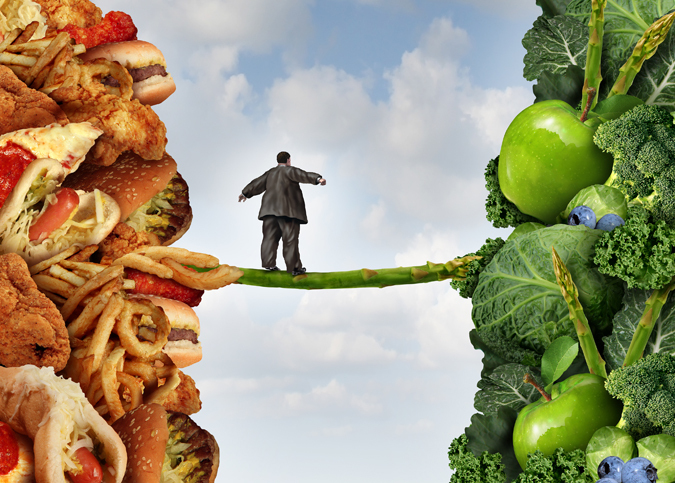 A diet change is one of the most important steps in fighting diabetes. The worldwide prevalence of diabetes is reaching epidemic proportions, recent data suggests. So, the critical question for everyone is: How do you get diabetes? A number of underlying factors are to blame for the global upswing in diabetes cases. To avoid becoming part of the statistics, it’s vital to understand what causes diabetes and what you can do to reduce your risk. At the 2011 United Nations High-Level Meeting on Non-Communicable Diseases, health experts set a challenging goal: Control diabetes so that by 2025, the worldwide prevalence of the disease remains at 2010 levels. Five years later, we’re no closer to reaching that goal, suggests a study published online in The Lancet (April 6, 2016). Researchers analyzed 751 studies including more than 4.3 million adults in 146 countries. They calculated that from 1980 to 2014, the number of adults with diabetes worldwide nearly quadrupled, from 108 million in 1980 to 422 million in 2014. Although the prevalence of diabetes was higher in women in 1980, the 2014 data show that more men (nearly one in 10) now have diabetes. Overall, the prevalence of diabetes in adults has risen or remained the same in every country, according to the study. The study authors noted that if the disappointing trends in diabetes prevalence continue, the probability of meeting the United Nations’ goal by 2025 is only 1 percent for women and less than 1 percent for men. The study findings only reinforce the importance of understanding what causes type 2 diabetes and how to prevent the disease. Type 2 diabetes is the most common form of diabetes. Your body uses glucose (blood sugar) as a vital source of energy for your cells, and your pancreas creates insulin to regulate blood-glucose levels. In type 2 diabetes, your cells fail to use insulin properly—a condition known as insulin resistance—resulting in a rise in blood sugar. In type 1 diabetes, a wayward immune response damages cells in the pancreas responsible for insulin production. Consequently, the pancreas does not produce adequate amounts of insulin to control blood sugar. Another form of diabetes, gestational diabetes, occurs in pregnant women because placental hormones that help a baby develop causes insulin resistance in the mother’s body, resulting in high blood sugar levels. The key risk factor for type 2 diabetes—and the major factor behind the rising global prevalence of diabetes—is obesity. In fact, nearly nine out of 10 people with type 2 diabetes are overweight or obese, according to the Obesity Society. A sedentary lifestyle, which contributes to obesity, also is linked with increased type 2 diabetes risk. Body mass index (BMI): To calculate your BMI, divide your weight in pounds by your height in inches squared and multiply by a factor of 703. For example, a 6-foot-tall, 200-pound man would have a BMI of 27.1. (Visit the National Heart, Lung and Blood Institute’s BMI calculator.) A BMI of 18.5–24.9 is considered healthy, 25–29.9 is overweight, and 30 or more is obese. Waist circumference: Wrap a tape measure around your bare abdomen at the level of your navel. A waist circumference of more than 40 inches for men and more than 35 inches for women indicates an increased risk of type 2 diabetes as well as heart disease. Waist-to-height ratio: A comparison of your waist circumference to your height. Your waist circumference in inches should be less than half your height in inches. Waist-to-hip ratio: Measure your waist around the narrowest spot between your hips and ribs after exhaling. With your heels together, measure your hips around the widest part of your buttocks. Divide your waist circumference by your hip measurement. Aim for a waist-to-hip ratio of less than 0.95 for men and 0.80 for women. However, not all people who are overweight or obese develop type 2 diabetes, and some who have type 2 diabetes are not obese. So, it’s clear that other factors also contribute to type 2 diabetes risk, including advancing age, family history of type 2 diabetes, and ethnicity (the risk of type 2 diabetes is higher among African-Americans, Hispanics, Asian-Americans, and Native Americans). High blood pressure and lipid abnormalities (low HDL “good” cholesterol and high levels of triglycerides) also have been associated with an increased risk of type 2 diabetes. Visit the American Diabetes Association’s My Health Advisor to calculate your odds of having diabetes, as well as your risk of heart disease and stroke. And, most importantly, discuss your risk of diabetes with your physician, and work with your healthcare team to optimize any modifiable risk factors through diet, exercise, and, if necessary, medical therapy. 2 diabetes, blood glucose levels, blood pressure, blood sugar, blood sugar levels, bmi, body mass index, causes diabetes, cholesterol, control blood sugar, diabetes, diabetes heart disease, diabetes risk, diet, exercise, gestational diabetes, glucose, glucose levels, good cholesterol, hdl, health, heart disease, high blood pressure, high blood pressure and, high blood sugar, high blood sugar levels, how do you get diabetes, insulin, insulin resistance, low hdl, modifiable risk factors, obesity, Pancreas, regulate blood glucose levels, risk of heart disease, sedentary lifestyle, stroke, sugar, sugar levels, Triglycerides, type 1 diabetes, type 2 diabetes, what causes diabetes. 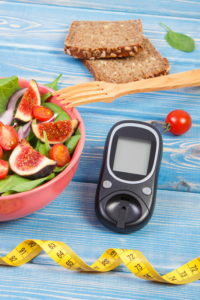 I thought you might be interested in this article on https://universityhealthnews.com: How Do You Get Diabetes?